A YA memoir of surviving sexual abuse in the Air Force academy. I want to be in the Air Force someday.These are the words Polo Tate engraved on her junior dog tags at age eleven. It was an unpopular dream for most young girls, but her hard work paid off and at age eighteen, Polo started basic training at the United States Air Force Academy. She does everything right, from academics to athletics. But no one prepared her for what came next: physical, sexual, and emotional abuse at the hands of her superiors. Harassment from peers who refused to believe her story. 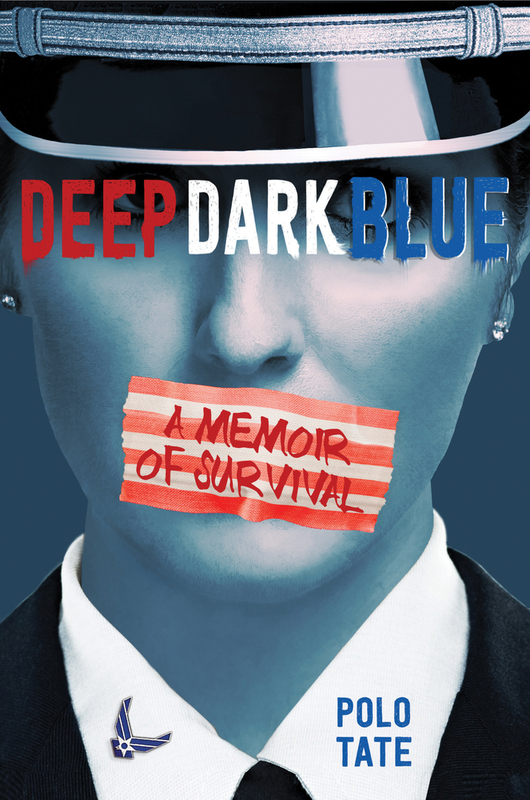 Deep Dark Blue is more than a memoir about sexual assault. It’s about breaking boundaries but also setting them. It's about learning to trust your instincts. It's a story of survival, resilience, and finally, finding your joy. Why Did I Read Deep Dark Blue by Polo Tate? Deep Dark Blue by Polo Tate is one of those books that stands out simply because we are in the age of #MeToo. Tate’s voice is such an important part of the conversation. For me, personally, I find it important to read memoirs of women who have undergone harrowing experiences in order to bear witness, so to speak. I think it’s important to know just how deeply the issue has spread. I wanted to read this because the story sounded fascinating. Polo Tate’s memoir, Deep Dark Blue, details her time at the United States Air Force Academy. We learn that it has always been a dream of hers. The chapters basically show her time at the academy and then some chapters end with a flashback to her childhood. Tate has been through some extraordinary circumstances, such as the loss of her sister. However, she’s a real fighter. We see how she acclimates to the academy and things go well for her at first. Then, she’s sexually assaulted and experiences physical and emotional abuse. At that point, Tate spirals and things don’t go so great. So the book is about how she finds her joy again. How Did I Like Deep Dark Blue? Overall, I think that Deep Dark Blue is worth reading. I feel like it is empowering to read about how Tate overcomes SO much. Yet, she manages to retain her joy and the most essential parts of herself. This book describes overcoming trauma. It shows that it is okay to trade one dream for another and that there is nothing wrong with you, if you do. The writing style wasn’t always 100% my favorite. Like there’s parts where it definitely feels overwritten. And there’s certainly a “the Secret” vibe to several parts of this book. However, that wasn’t enough to preclude me from actually getting something out of this. Deep Dark Blue by Polo Tate is an emotional read. It does not shy away from detailing the misogyny that Tate experienced while at USAFA. It’s actually kind of insidious when you sit down, digest, and really think about it. I think this is such an important story. It shines a light on some pretty big issues. Then, it ends not in darkness, but with hope. Plus, there’s a bunch of resources on the end. If it makes one person feel less alone, it is well worth it.